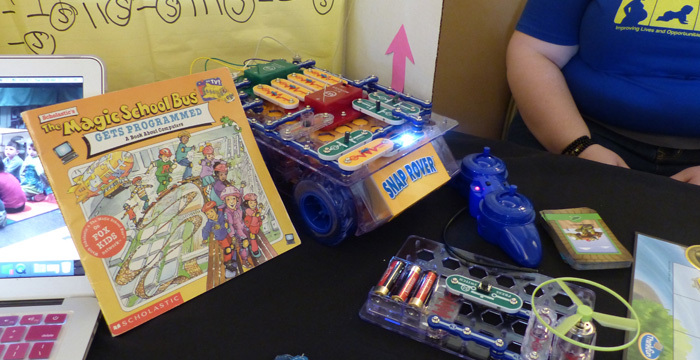 Devens, Massachusetts was home again to the annual New England Head Start STEM Exhibition. For the last 6 years, the exhibition has gathered together Head Start educators to share their strategies for teaching science, technology, engineering and mathematics to infants, toddlers, and preschoolers. There were 160 registered attendees who represented all six New England states in Region 1. The 20 exhibits displayed by Head Start grantees were the most ever. A sampling of exhibit titles includedMini MD’s: Anatomy and Physiology for the Preschool Set, How Computers Work from Building to Coding, Simple Machines: Levers, Artic Animals and Gardening. “The annual New England Head Start STEM Exhibition provides a venue for educators, supervisors and coaches to network, share STEM initiatives and listen to presentations on innovative practices that support their professional development,” said Maureen McDonald, Early Childhood Specialist and exhibition manager. The morning keynote speaker was Melissa Russell, Director, Hundred Acre School at Heritage Museum and Gardens (Sandwich, MA) and part-time faculty Bridgewater State University. Her presentation was titled, “Passion for Purposeful Mathematics Experiences: Inspiration from a STEM-Focused School”. Ms. Russell also keynoted the 2018 exhibition. In the afternoon, representatives from Massachusetts Head Start grantees shared initiatives that support STEM in their programs. Colleen Bostwick and Suchira Channoi, teachers from Worcester Child Development Head Start, shared strategies for integration of the Engineering Design Process (EDP) in their classroom practices with preschoolers in a presentation entitled "Preschool Engineering: Reinventing the Wheel". The second afternoon presentation was provided by Barbara Baker and Heidi Chait,1 education coaches from Action for Boston Community Development Head Start and Denise Nelson, Pam Lapoint and Carmen Fernandez from Worcester Child Development Head Start. The title of their presentation was "Coaching Corner: Strategies to Support STEM Goals". Participants were encouraged to attend, present or exhibit at the 2019 Massachusetts STEM Summit on November 5, 2019 in Worcester, Massachusetts.